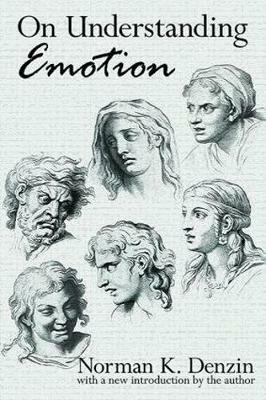 Emotions--fleeting, insubstantial, changeable, and ambiguous--seem to defy study and analysis. Nothing is more complex, mysterious, and subject to conflicting theories and interpretations than human emotion. Yet the central importance of emotion in human affairs is undeniable. Emotions affect all levels of life--personal, organizational, political, cultural, economic, and religious. Emotions give meaning to life. Emotional disturbances can destroy that meaning. How should emotions be studied? How can an understanding of the inner feelings of individuals illuminate important social interactions and human developments? In his book, Norman Denzin presents a systematic, in-depth analysis of emotion that combines new theoretical advances with practical applications. Based on an intensive, critical examination of classical and modern theoretical research--and on revealing personal interviews in which ordinary people express their emotional lives--he builds a new framework for understanding ordinary emotions and emotional disturbances. Denzin analyzes how people experience joy and pain, love and hate, anger and despair, friendship and alienation--and examines the personal, psychological, social, and cultural aspects of human emotion to provide new perspectives for understanding human experience and social interactions. He offers new insights on the role of emotions in family violence and recommends ways of helping people escape from recurring patterns of violence. And in criticizing current conceptions of emotionally disturbed people, he reveals the nature of their inner lives and the ways they perceive and relate to others. In sum, this book presents new insights on human relationships and human experience. It is now available in paperback for the first time, with a new introduction by the author.